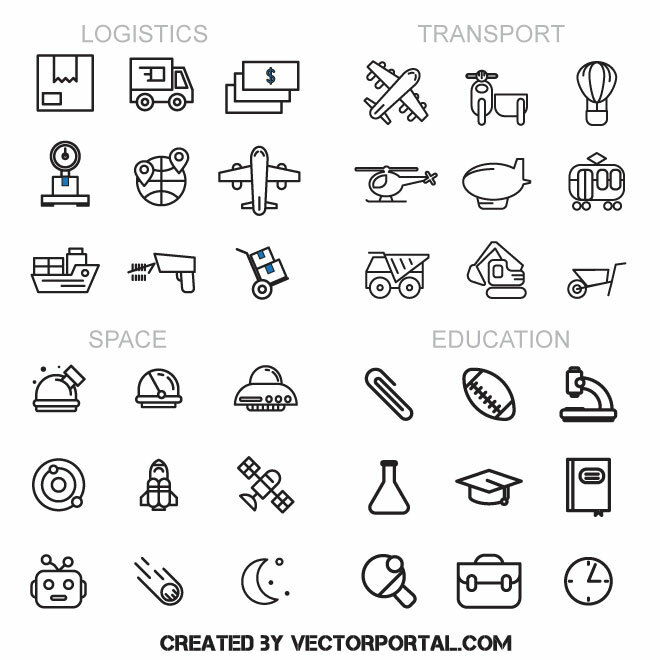 This vector pack features 9 free icons from four different categories – logistics, education, space exploration and transport. These icons are free for personal and commercial use. Please do not sell or distribute these files on other websites as digital downloads or in other graphic formats. If you want more free icons in vector format, visit our website and search for “icons” or get them from the Vectors menu.